For introductory courses in Horticulture and Plant Science, and for courses in Horticultural Technology, and Environment and Plant Development. 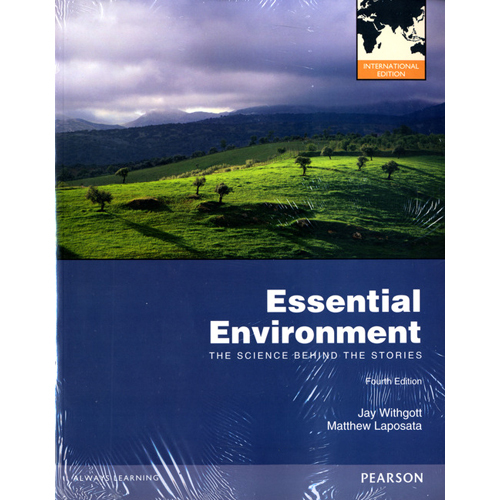 Promoting an understanding of the role of the environment in plant growth and development, this unique plant science text offers students much more than the traditional topics of analyzing the industries and surveying important crops. Its emphasis on environmental factors enables students to better understand current and emerging technologies that modify the environment to improve plant production. I. OVERVIEW OF THE PLANT SCIENCES. 1. Introduction to the Plant Sciences. 4. The Sciences of Plants. II. BASICS OF PLANT GROWTH AND DEVELOPMENT. 5. Introduction to Plant Growth and Development. 6. An Overview of Photosynthesis and Respiration. 8. Some Ecological Principles in Plant Growth and Production. III. ENVIRONMENTAL FACTORS THAT INFLUENCE PLANT GROWTH AND CROP PRODUCTION TECHNOLOGIES. 9. Introduction to the Role of the Environment in Plant Growth and Development. 10. Overview of the Aerial Environment. 16. Overview of the Rhizosphere. Appendix A. Conversion Factors for International System of Units (SI Units) to and from Non-SI Units. Appendix B. Conversion Factors for Some Commonly Used Non-International System of Units (SI Units). Appendix C. Some Physical Constants or Values. Appendix D. Some Prefixes Used to Define Multiples of International System of Units (SI Units) Conversions. Appendix E. Compilation of Internet Resources.